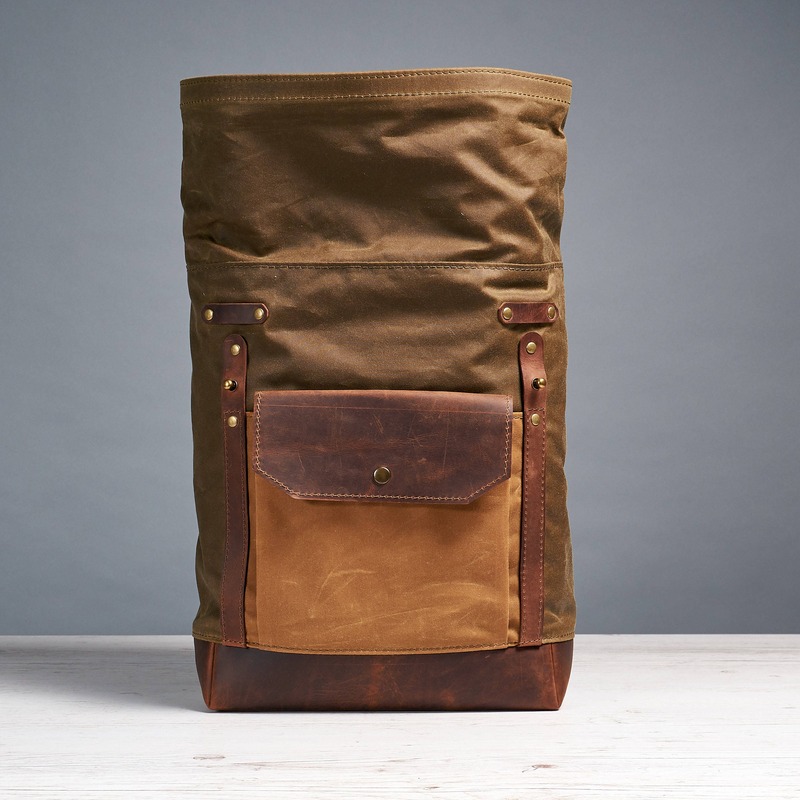 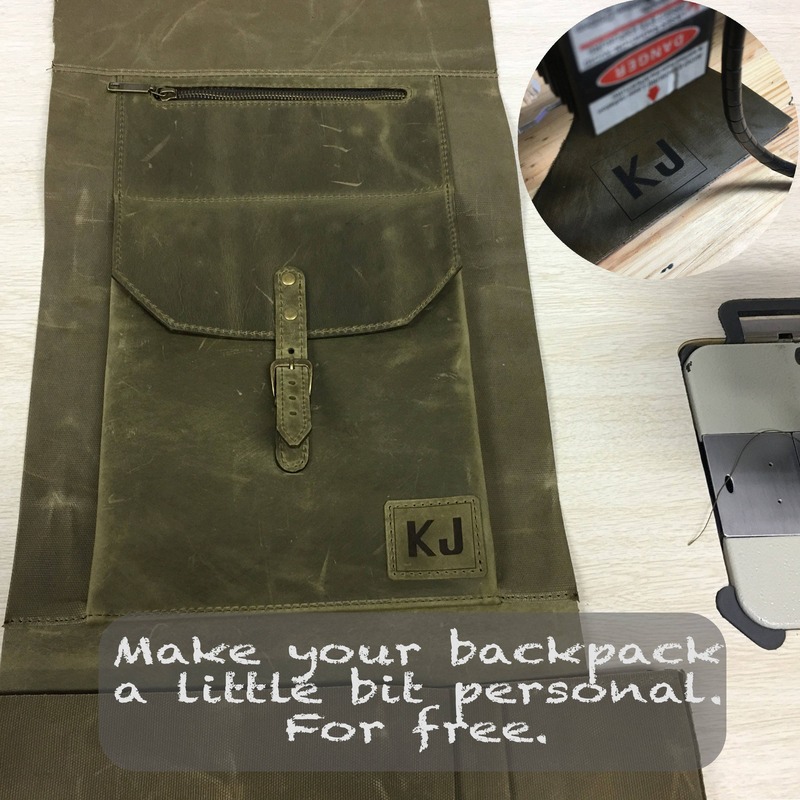 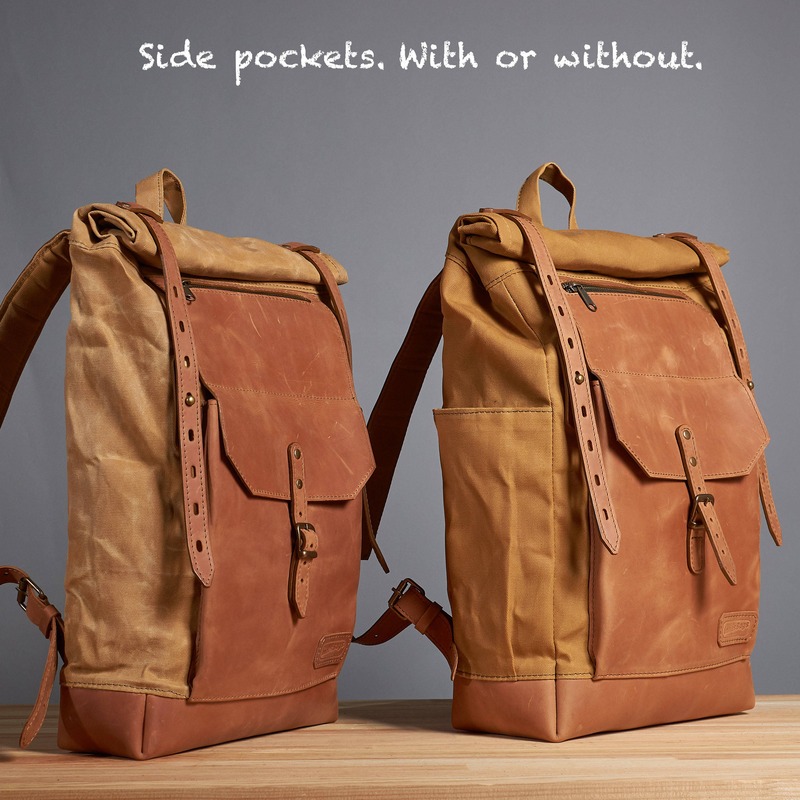 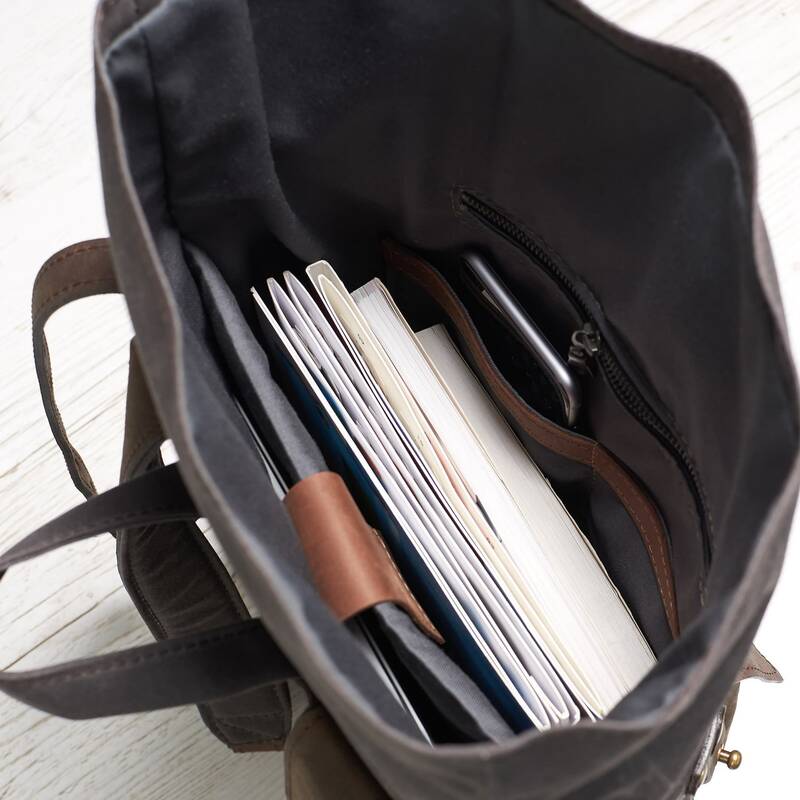 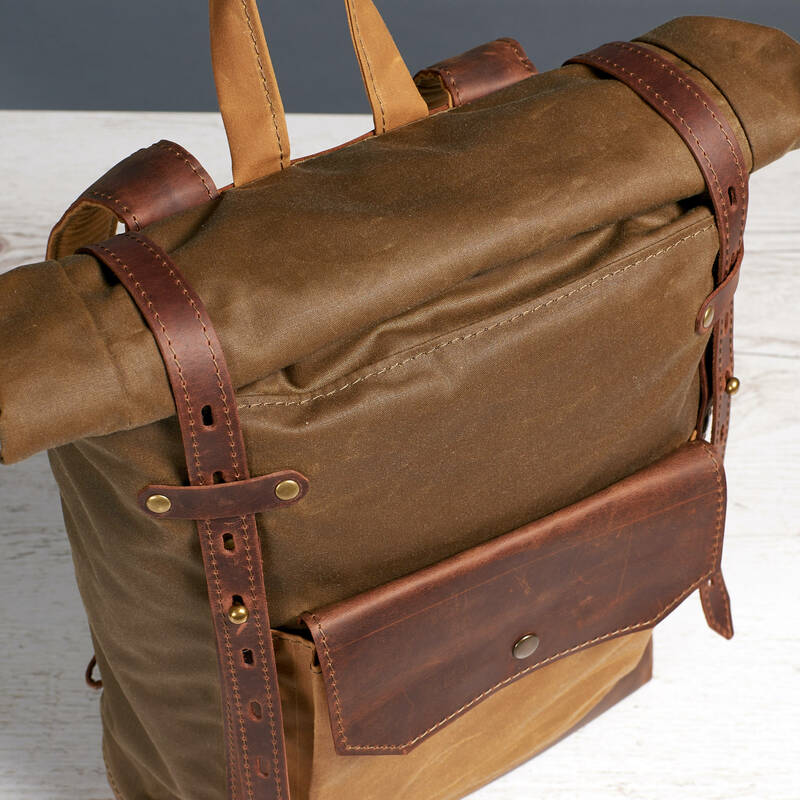 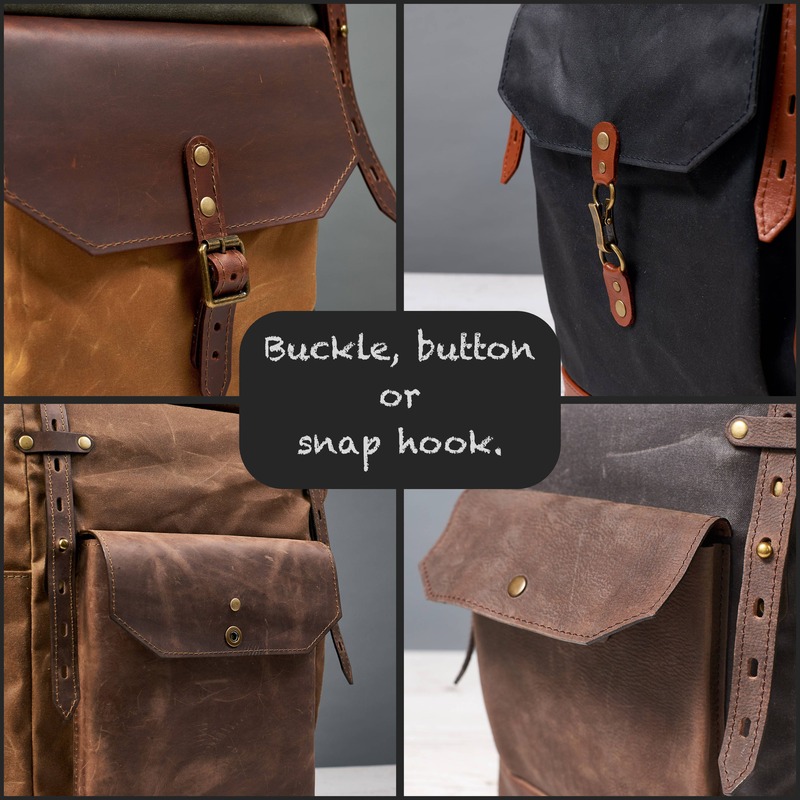 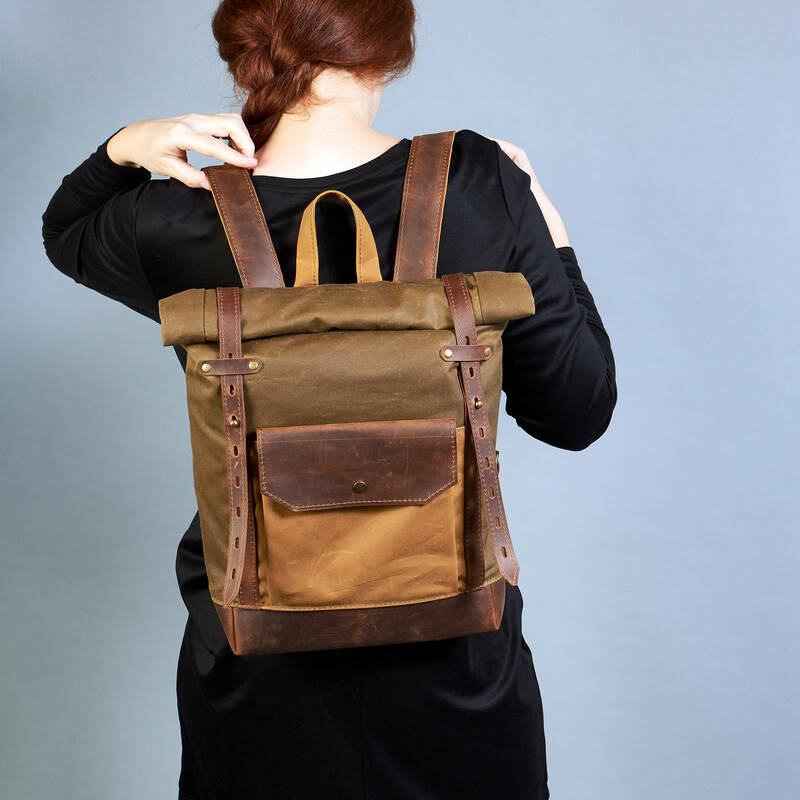 Small waxed canvas laptop backpack. 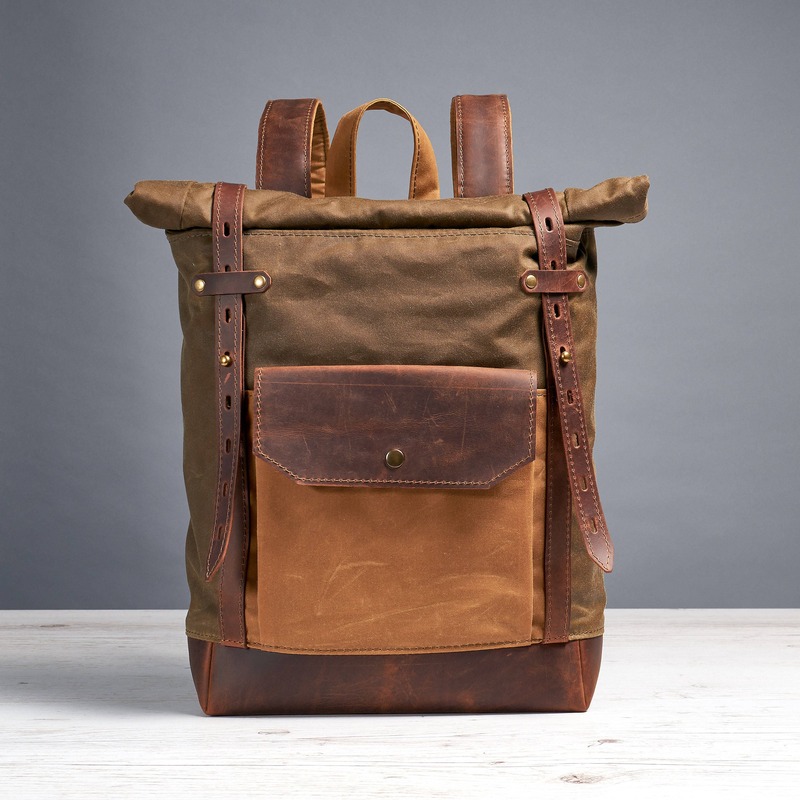 Hipster rucksack. 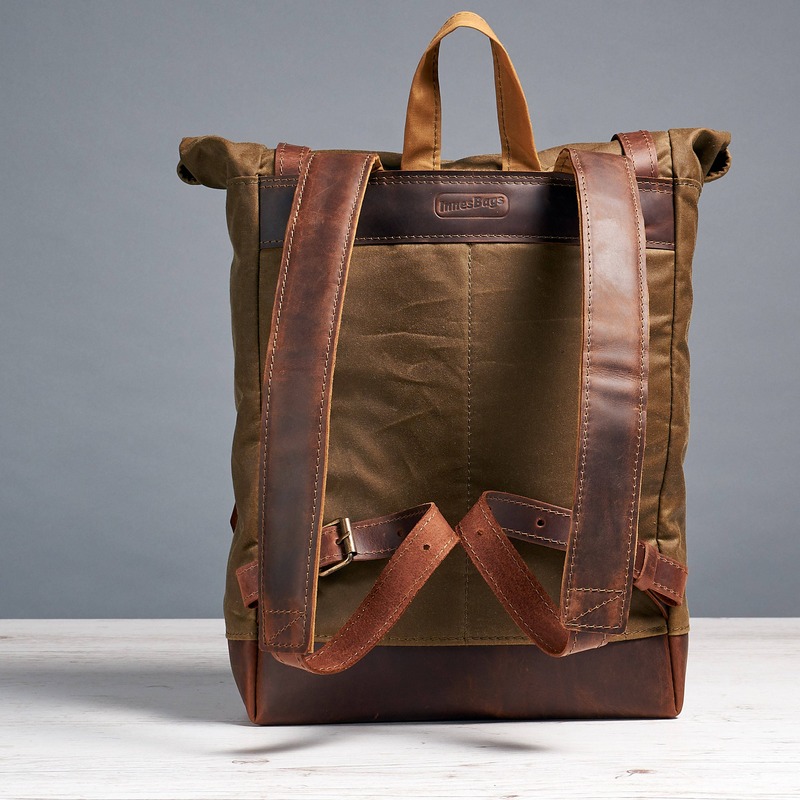 COLORS: olive and yellow waxed canvas, cognac/brandy "crazy horse" leather.